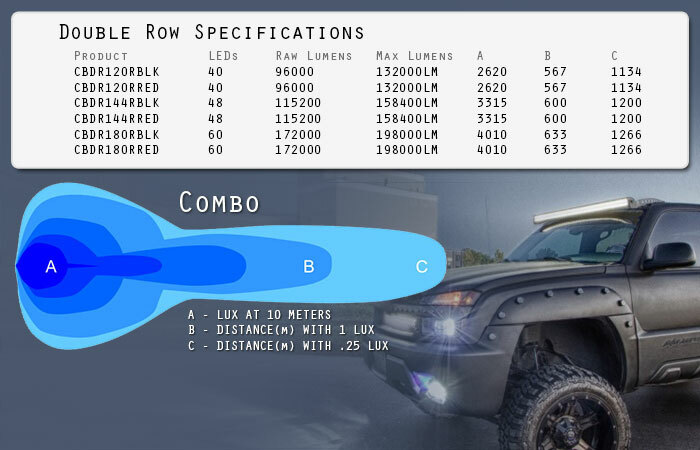 The Comoblaze 26” CREE LED Light Bar Driving WORK FLOOD SPOT COMBO 4WD 6063 AL is one of the most reliable lighting devices you can have for your truck, construction machine, 4X4, agricultural equipment, or any off-road vehicle. 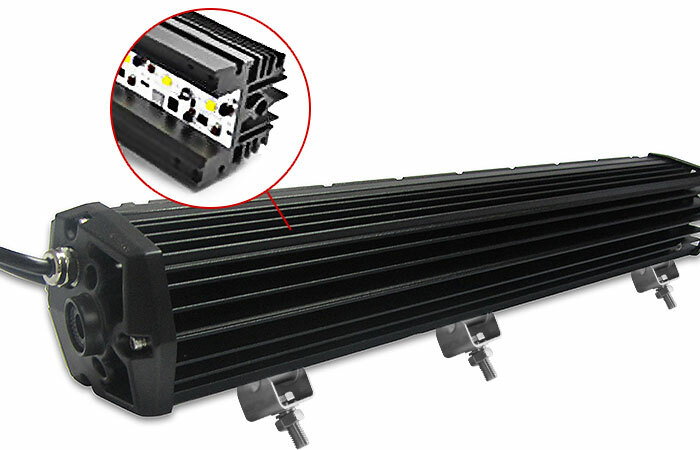 You’ll find this product truly impressive as it is filled with all the advantageous features you are looking for in a light bar. 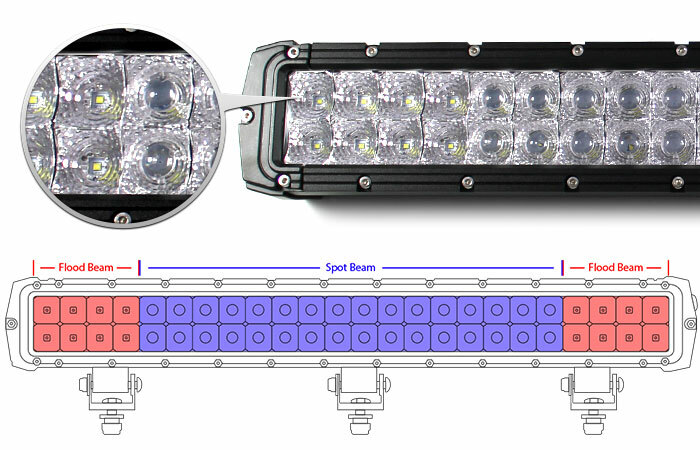 The flood and spot combo for light illumination features a theoretical raw lumen of 115200LM and a theoretical maximum lumen of 158400LM. 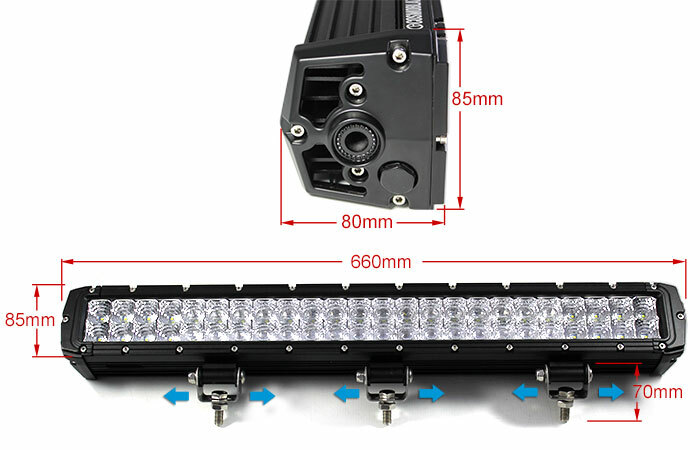 The spot beam distance of this premium light bar is impressive at 2012 meters, while its flood beam distance is at 1704 meters for the distance. 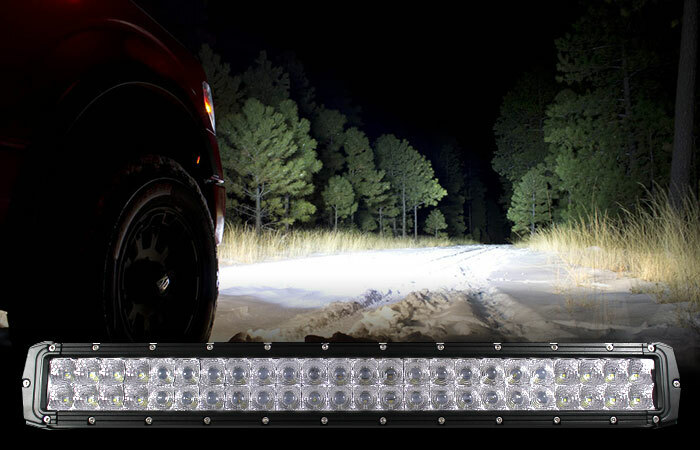 You don’t have to worry about the weather condition if you have the Cosmoblaze 26” CREE LED Light Bar as it can is temperature shock. 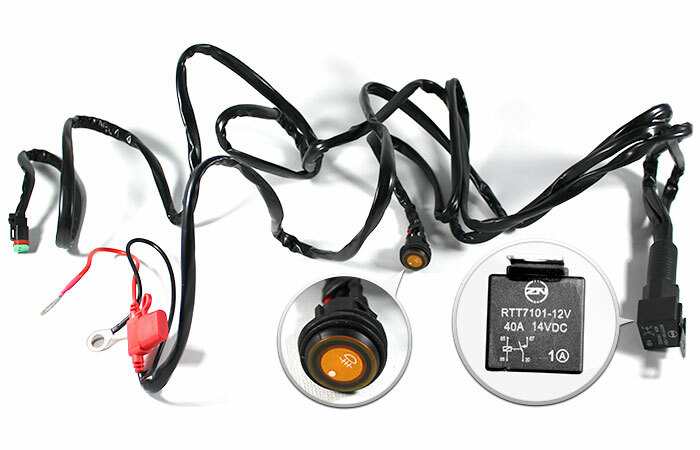 CE and Rohs certified this product guarantees excellent performance to be it on a high or low temperature. Not only that! 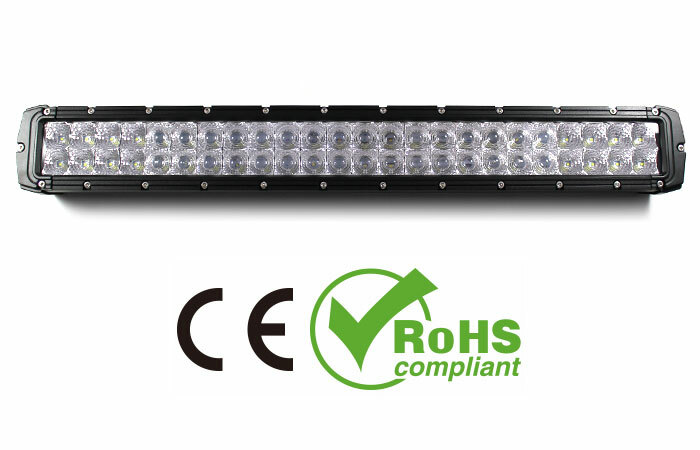 Even when it rains or you pass through a flooded area, the IP69 waterproof rating of this light bar promises to retain its perfect condition inside and out. 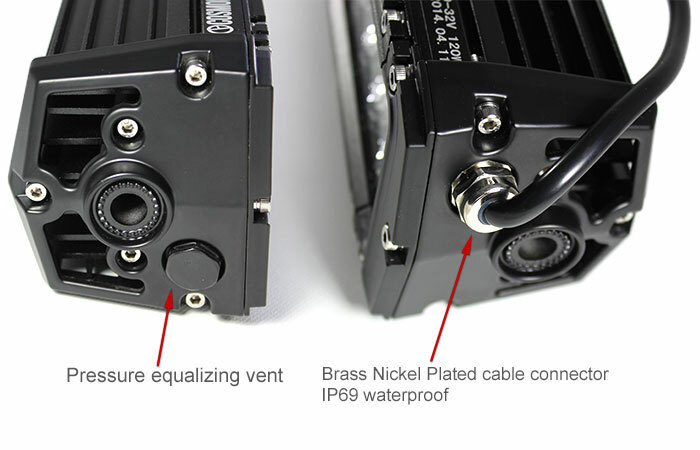 Indeed, this product’s 6063 extruded aluminum housing remains in sturdy no matter what kind of weather condition or temperature it is in the area. 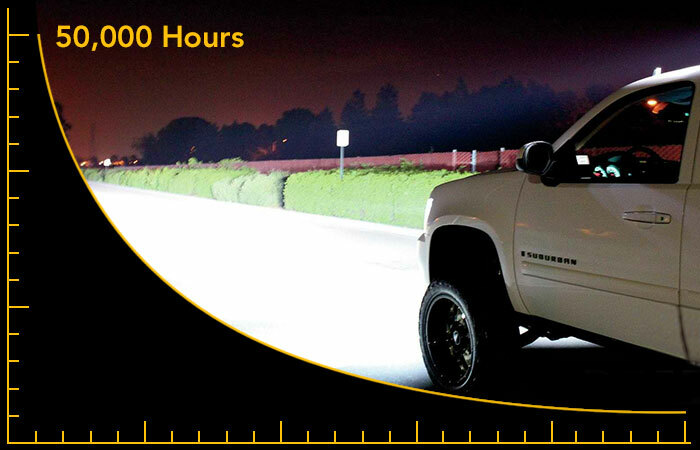 Above all, you can be sure of our money’s worth with this LED light bar as it has a life span of up to 50,000 hours. You are also treated to a 5-year warranty when you purchase this item at Elinz, one of Australia’s leading online retail stores for electronic products. This means you don’t spend extra for repairs and replacements so soon! 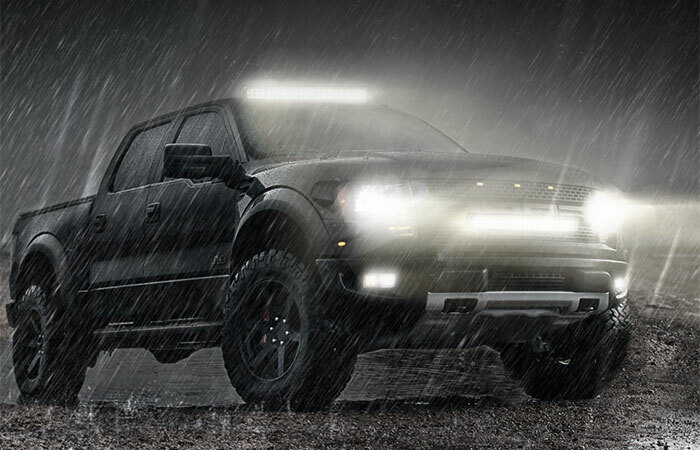 The light bar was useful when we went on a camping. Price is good too.